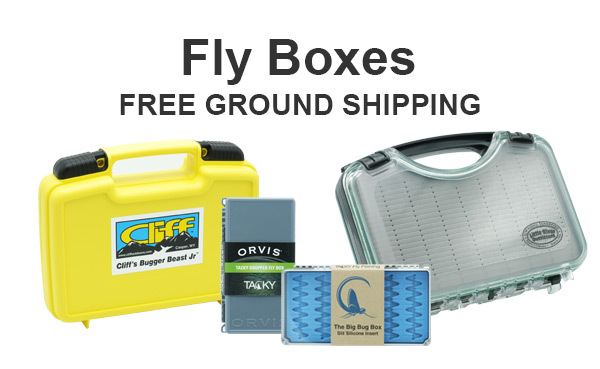 Fly fishing boxes with foam or silicone inserts hold your flies securely, even on windy days. Slit foam and slit silicone have become very popular during the past few years. Hooks can be inserted in the slits, without destroying the foam or silicone over time. Tacky fly boxes are the rage right now. They use silicone instead of foam. You may order here online, or call us at 865-448-9459 to order. Ground Shipping is Free either way.